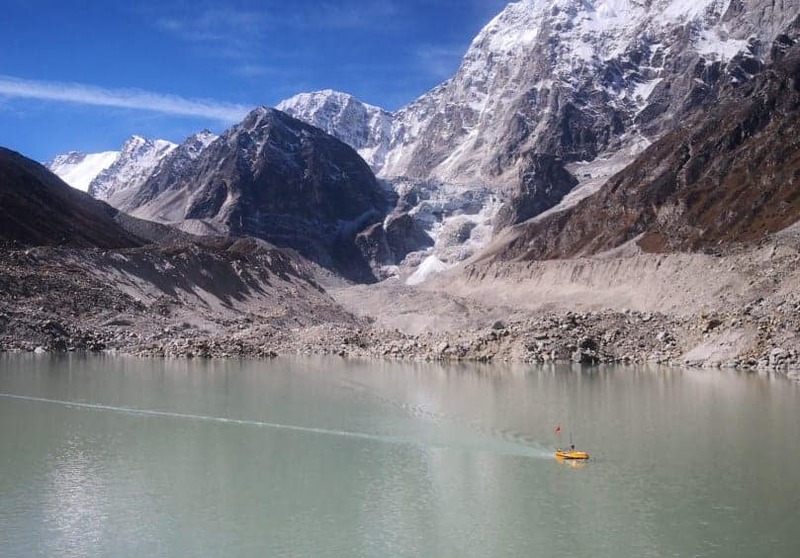 OceanAlpha has announced that it has taken part in an expedition to survey three plateau glacial lakes in Tibet with an unmanned surface vessel (USV). The expedition was made up of six team members from OceanAlpha, the Qinghai-Tibet Plateau Institute of the Chinese Academy of Sciences and the University of Zurich. The mission, performed with OceanAlpha’s SL20 USV, was the first systematic survey of these lakes ever performed. The objective of this expedition was to measure the depth of the three lakes – Qihu lake, Jialong Cuo lake, and Galong Cuo lake – so as to calculate the storage capacity, and assess the hazard level of these lakes. During the expedition, the average altitude was 4,500 meters, the daytime temperature was about 7 degrees Celcius, and the nighttime temperature was about -10 degrees. In such a harsh environment, the expedition team needed to overcome many difficulties to complete this unprecedented task. Huang Cheng, the engineer from OceanAlpha, recalled that due to the high altitude, large temperature difference, and heavy workload, the survey task was a huge challenge to the physical strength of all members. In addition, the icy lakes are far from the nearest town, so transportation was limited to manpower and horses. Since power generation equipment was too heavy to carry, the team had to rely on the limited battery resources of the USV to complete all the tasks, requiring efficient pre-planning capabilities. The expedition team first carried out the bathymetry mapping on Qihu lake. At 7400 meters above sea level, the expedition team set the base station antenna to 6 meters high to send instructions to the unmanned vessel and receive data feedback. The team conducted an autonomous survey of 0.02 square kilometers of the lake with the unmanned boat. In the next two days, 0.5 square kilometers of autonomous surveying was carried out on Jialong Cuo lake, which is located at an altitude of 4,300 meters, and 5 square kilometers on Galong Cuo lake at the altitude of 5,070 meters. At certain times of day the wind conditions were quite severe, and there was little information available on the thickness of the ice. This meant that using a USV provided huge safety advantages over the traditional surveying model, in which researchers would have to physically work on the ice and embark and disembark from a manned vessel. “In this survey mission, the advantage of the unmanned boat is prominent. The unmanned boat is very flexible in transportation and light enough to be transported by horse or manpower. The unmanned boat can work continuously, reducing the time for surveyors to stay outdoors and reducing the intensity of work. By remotely controlling the unmanned boat through the base station on the bank, the surveyors can enjoy a more comfortable working environment and lower their risk of getting into danger,” commented Huang Cheng.